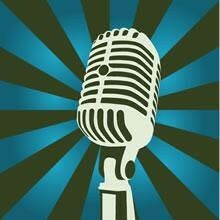 Do you have singing, musical or spoken word talent? Take part in this fun, family-friendly event. Performance length cannot exceed five minutes. Pick up a copy of the rules at the branch. Artistic expression is encouraged, but all performances must avoid the use of vulgarity in language and actions. There will be a first place for music or singing and a first place for poetry. Performers please call the branch at 404-286-6980 to register. Open to the first 20 performers. All guest are welcome.